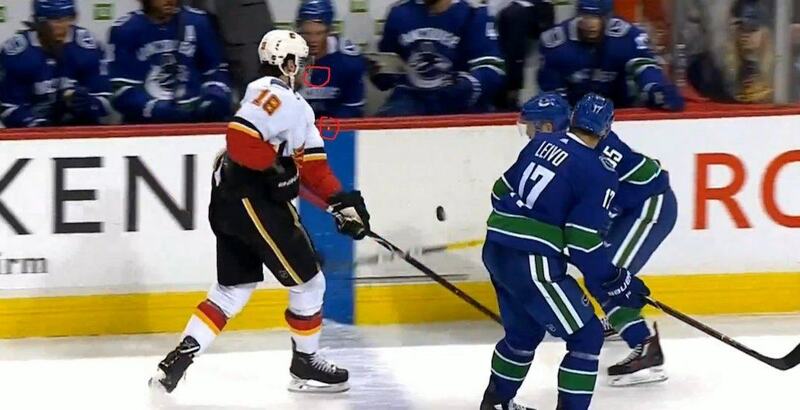 James Neal needs a trip to the dentist after taking an Alex Biega high-stick to the face in the third period of the Vancouver Canucks’ 4-3 shootout win against the Calgary Flames on Saturday. Neal’s teeth exploded out of his mouth, visible for fans to see on the television broadcast. Biega received a double minor for high sticking, while officials and players picked up the debris. Because he’s a hockey player, Neal returned to the ice less than two minutes later. This isn’t the first time Neal has lost his teeth during a hockey game. The big forward also had them knocked out last season when he was with the Vegas Golden Knights, so the ones that went flying in Vancouver were fakes. Doesn’t mean it wasn’t painful though. Some players, like Drew Doughty and Brent Burns, elect to rock a toothless smile, while others like Neal get them fixed.